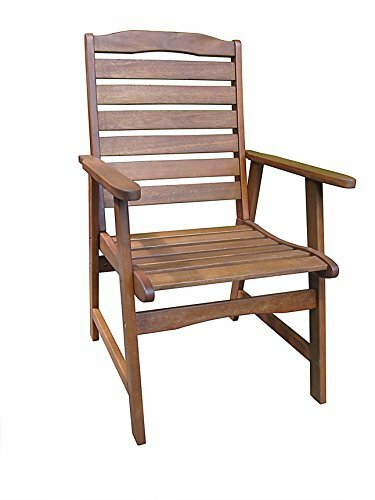 Enjoy this unique and very comfortable Juniper Patio Chair, crafted from FSC Certified Heavy Grandis Eucalyptus, a high-density tropical wood, which provides extreme durability in the most miserable of conditions. Perfect for sitting and enjoying your patio. The set requires minimal maintenance and without any maintenance a rich silvery patina develops on your piece. Light sanding or application of linseed oil. High back ensures maximum comfort. Dim: 26" x 25" x 40". Dimensions: 26" x 25" x 40"
View More In Patio Dining Chairs. If you have any questions about this product by Pomegranate Solutions, contact us by completing and submitting the form below. If you are looking for a specif part number, please include it with your message.